King’s Think Tank would like to invite you to apply for the second annual KCL-UCL Policy Debate. The debate will take place on February 28th, at KCL’s Strand Campus. To apply, send a CV with any relevant debating experience to diana.suciu@kcl.ac.uk or daphne.friedrich@kcl.ac.uk, by Wednesday 07.02.2018. King’s Think Tank will recruit 6 debaters in total, to be divided into teams of 3. There will be 2 debates running in parallel. The motions are: “This House believes that candidates for the highest office of a State must mandatorily have government experience.” (KCL is arguing against) and “This House believes that the media should be accountable for its impact on policy decisions.” (KCL is arguing in favor). The sides were determined by an impartial coin toss. King’s Think Tank will organize training sessions for both teams and will provide a handbook detailing the relevant rules. Last year, KCL won both debates and the best speaker award (£50 Waterstones voucher). The winning teams will have the chance of rewriting their arguments in the form of a policy paper which will be published by both think tanks’ journals. To attend buy your tickets here. 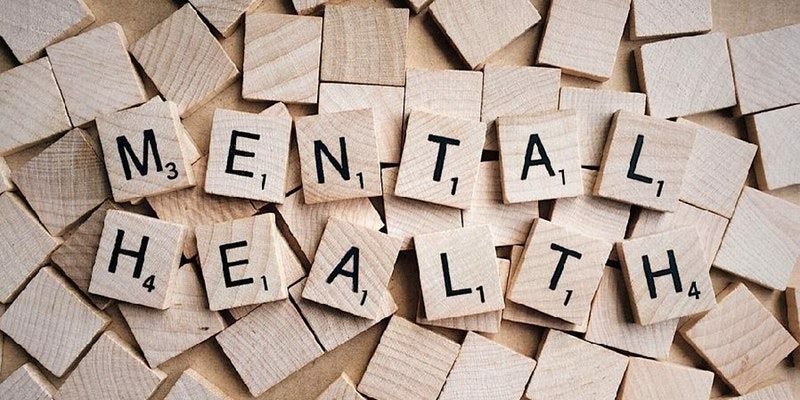 A staggering, 1 in 4 of us will experience a mental health problem in any given year with an increasing 75% of cases being established by the age of 25. Young people in comparison to any other age group are subject to an incredible amount of pressure growing up; facing issues such as exams, relationships, bullying and peer pressure, body image, financial worries, responsibilities as parents or carers – the list goes on – it is no wonder that CAMHS (Children and Adolescent Mental Health Services) are struggling to meet demand across the country. So the biggest question we are left with is, how can we prevent this? Please join us in support of University Mental Health Day. – Dr. Nicola Byrom, Founder of Student Minds, Lecturer in Psychology at King’s College London. – Julie Castleman, Chair of our Higher Education Network and MHFA England National Trainer. – Charlotte Furber, Policy Advisor from MIND. – Wilna Gracias, King’s Health and Wellbeing Senior Team Member. What Role Should the State Play in Integration? Dr Justin Gest, Assistant Professor of Public Policy at George Mason University, and co-founder of the LSE Migration Studies Unit. Sean Coughlan, BBC News Education Correspondent. Mr. Coughlan is an award-winning BBC News correspondent, writing for the BBC News website and broadcasting on TV and radio. He has twice won top prizes at the Education Journalism Awards. Professor Francis Green, Professor of Labour Economics and Skills Development at Institute of Education, University of London. Prof. Green conducts research in the Centre for Learning and Life Chances in Knowledge Economies and Societies (LLAKES) and in the Centre for Global Higher Education. His research interests include education economics and labour economics. Dr. Wanda Wyporska, Executive Director at The Equality Trust. Ms. Wyporska leads the work of the organisation in its mission to improve the quality of life in the UK by reducing social and economic inequality. David Kynaston, historian and author. Mr. Kynaston has been a professional historian since 1973 and has written eighteen books, including The City of London (1994-2001), a widely acclaimed four-volume history. The Paris Agreement: A Global Solution Beyond US? Mike Helmsley, Expert in the field of sustainable energy and acting as UK Government Advisor on Climate Change as part of the Committee on Climate Change. Mr. Helmsley specialized in energy policy for his MSc Environmental Technology at Imperial College London and have vast experience in both public and private sectors. Dr. George Adamson, King’s lecturer in the geography department and interdisciplinary geographer with past experience in environmental consulting. Dr. Adamson’s research interests include institutional responses to natural disasters and socio-political discourse of the climate today. Dr. Helen James Adams, lecturer in the geography department and a environmental social scientists. Dr. Adams also held posts with the Climate Change Expert Group in Paris prior her PhD and worked on the UN Framework Convention on Climate Change Secretariat in supporting negotiations on adaptations. Major General Graham Binns CBE DSO MC, retired British Army officer and former CEO of Aegis Defence Services Ltd. Having served with the British Armed forces in Iraq Mr. Binns went on to lead a major Private Security Company which has been active in Iraq, Afghanistan and the Middle East. Professor Gabor Rona, Member of the UN Working Group on the Use of Mercenaries. As an expert in international humanitarian law and international human rights law, Mr. Rona has undertaken substantial work with the UNHRC on monitoring and studying the use of PMCs and addressing legal questions pertaining to their use. Professor Trevor Taylor, Professorial Research Fellow at RUSI. Mr. Taylor specialises on Defence Management and currently leads a research programme on Defence, Industries and Society parallel to writing about the defence sector. Dr. Sean McFate, Author and novelist, Fellow at the University of Oxford and expert on Foreign Policy. Mr. McFate has written extensively on the privatisation of war (The Modern Mercenary, Oxford University Press 2014) and the inevitability of change in future international conflict. In March 2016, three members of King’s Think Tank were finalists in King’s Policy Idol 2016. Read more about Policy Idol 2016 here. The group chose to focus on terrorism, specifically the nuances surrounding the subject of ISIS and terrorism, and the political sensitivities involved in finding viable solutions. This included discussing its controversial definition, its European dimension, addressing the flow of so-called Foreign Fighters, as well as the issue of preventing terror funding (including by states). Improve the narrative about ISIS and the West to ensure that it is more dynamic and that it considers many different perspectives. Identify, understand and prevent the complex web of transnational illicit trade at the base of the terrorist business.